Shoemaker Huajian says new $2bn manufacturing zone will transfer skills to locals so they can become the future managers. Helen Hai, vice-president of Chinese footwear manufacturer the Huajian Group, has a bold ambition. Within a decade, she wants Ethiopia to be a global hub for the shoe industry, supplying the African, European and American markets. 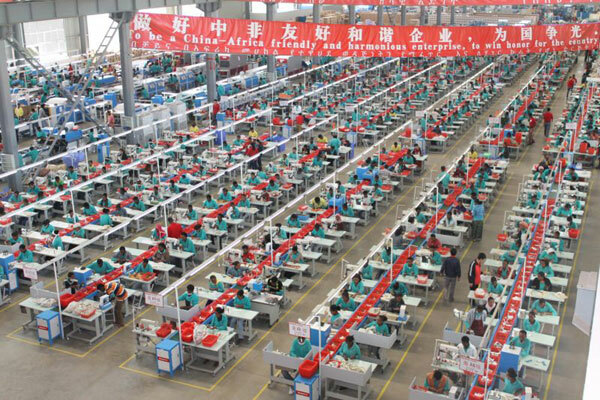 Huajian has a factory near Addis Ababa employing 600 people, which opened in January 2012, and has committed to jointly invest $2bn (£1.3bn) over the next decade to create a light manufacturing special economic zone in Ethiopia, creating employment for around 100,000 Ethiopians. The company, which employs 25,000 workers in China, expects to be able to provide around 30,000 jobs in Addis Ababa by 2022. Huajian’s partner in this project is the China-Africa Development Fund (CADFund), a private equity facility promoting Chinese investment in the continent. Born out of the 2006 Forum on China-Africa Co-operation, the fund was launched in June 2007 with $1bn provided by the China Development Bank. A further injection of $2bn was made early last year. If this is realizing part of Meles’ vision, it has my full support. I don’t oppose what is good for Ethiopia, unlike some people who are acting against the construction of the GERD. These same people might show their protest even on the day of the completion of the dam. My appreciation goes to the Chinese company for labelling the product as”Made in Ethiopia”. This is in contrast to a Turkish Textile factory located in Ethiopia, as I have heard, that label product as “Made in Turkey”.